Granola has been around for a long time, invented in 1863 by Dr. James Caleb Jackson in Dansville, NY at the Jackson Sanitarium, a health spa. Sometime in the mid 1970s one of two men invented the granola bar. Most sources credit the invention to Stanley Mason, the man who also invented disposable diapers, squeezable ketchup bottles and microwaveable dishware among other things. Hendrick Kimble has also claimed to be the inventor of granola bars. 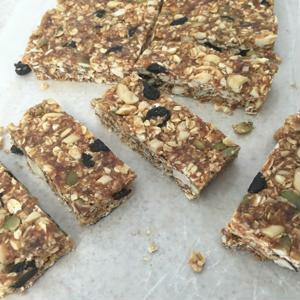 Given the association with its origins in a health spa and mostly natural ingredients, many people believe granola bars to be a healthy snack. But according to the Center for Science in the Public Interest, “they’re basically cookies.” Calorie, fat, sodium and sugar content of an average granola bar are nearly the same as those a Kit Kat bar. But they are delicious. And since we’re talking about ejuice and not actual food, taste is what we’re really concerned with. VML has an entire line of granola bar based ejuice. They call it Mountain Man. The first Mountain Man flavor I’m reviewing is Peanut Butter & Oats Granola Bar. Peanut Butter & Oats opens with a unique peanut butter flavor that tastes like it’s made with dark roasted peanuts. On the exhale the oats and other grain notes come through, adding as much to the texture of the experience as the flavor. The vapor leans to the warm side and the throat hit is mild. Mountain Man Peanut Butter & Oats has an aroma that’s reminiscent of fresh baked peanut butter cookies. When I first tried Peanut Butter & Oats it wasn’t exactly what I was expecting. I was thinking it would be a sweeter, stickier traditional peanut butter ejuice. But this is not your everyday peanut butter based experience. There is that dark roast element and then the granola-like texture. This is an ejuice that grew on me, and before I realized it I’d vaped an entire tank. I’ve been vaping it for several days and the more I vape it the more I like it. 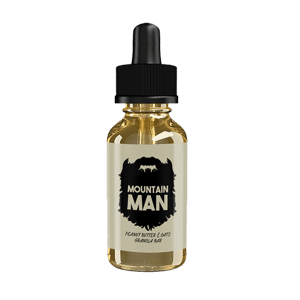 If you enjoy peanut butter or bakery style ejuices, Mountain Man Peanut Butter & Oat Granola Bar is one you need to try. VML offers Mountain Man Peanut Butter & Oats Granola Bar in 30 ml bottles for $20.00, 60 ml for $24.95 and 100 ml for $29.95. 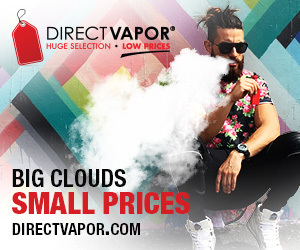 Available nicotine levels are 0 MG, 3 MG and 6 MG. All of the flavors in the Mountain Man line are max VG. I vaped Peanut Butter & Oats in a Kangertech Five6 Mini Tank on the Kangertech Spider Mod. VML provided the bottle of Peanut Butter & Oats I sampled for the purpose of this review. Find out more about Mountain Man Peanut Butter & Oats Granola Bar EJuice from VML here.